I’m a full-stack developer with a background in traditional marketing. Regardless of what side of the table you sit on, I’ve been there. I get it. The world's first Restroom Management System, developed to help businesses provide public restrooms that are consistently clean, well-stocked and fully functional by collecting real-time text message feedback from customers and monitoring how often staff check and clean restrooms. 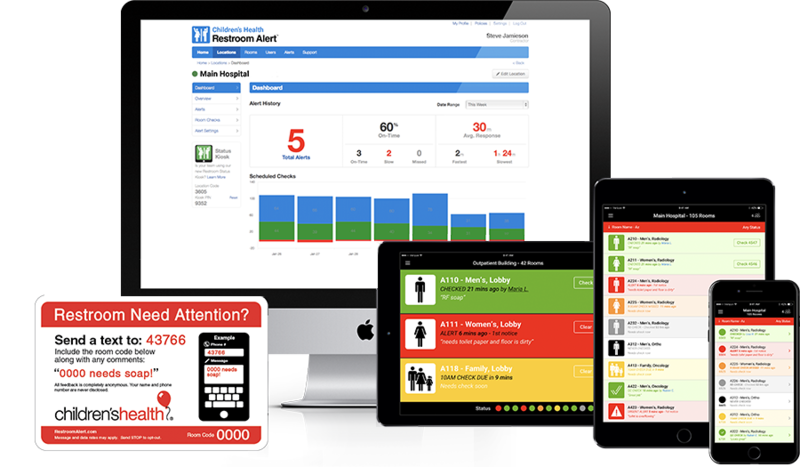 Our analytics package allows managers to monitor the conditions of restrooms both in real-time and historically across dozens or even hundreds of locations from a single screen. 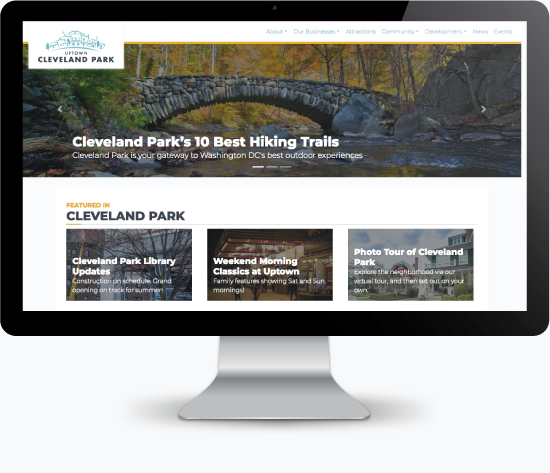 I was approached by the Cleveland Park Business Association (Washington, DC) to develop a content/branding strategy and website for the neighborhood and its merchants. I worked with the business association to understand their goals and the goals for the neighborhood. I translated those goals into a marketing and content strategy. I built a custom Wordpress theme that allows the volunteers in the organization to manage and contribute content without requiring that they have technical skills. In addition to building the front-facing website, I'm currently working with the organization to understand how technology can help them better manage the organization, collaborate with neighborhood volunteers and stretch limited resources. The world needed a way to convert YouTube comments to Haiku. This is my answer. 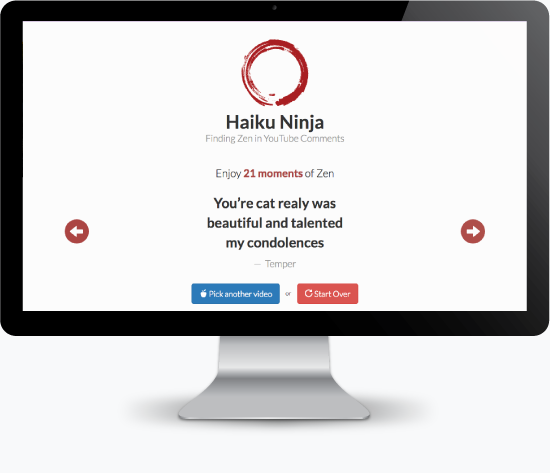 Haiku Ninja uses a PHP API and Vue.js frontend application. Source code is available through my GitHub page. 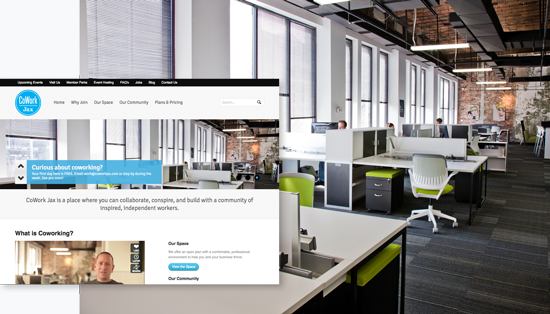 CoWork Jax is the first co-working space in Jacksonville, Florida. It is a place where entrepreneurs, freelancers and other creative professionals can work, network and collaborate. With over 150 members, it’s been a fantastic success and changed the nature of downtown Jacksonville, by providing entrepreneurs a natural meeting ground. In addition to the many hats a co-owner of a business wears, I helped design and develop the company website, create and execute the overall marketing plan, including both traditional and digital marketing as well as develop internal tools for the business. 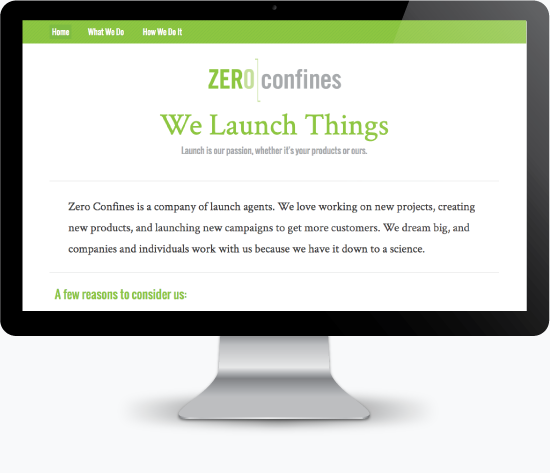 Zero Confines is a marketing agency with a focus on the successful launch of new businesses and ideas. I was proud to work with renewable energy firms, technology companies, B2B companies, B2C companies, retailers, digital businesses, manufacturers, lifestyle brands, developers, successful and steadfast entrepreneurs, change-agents, and freelancers. 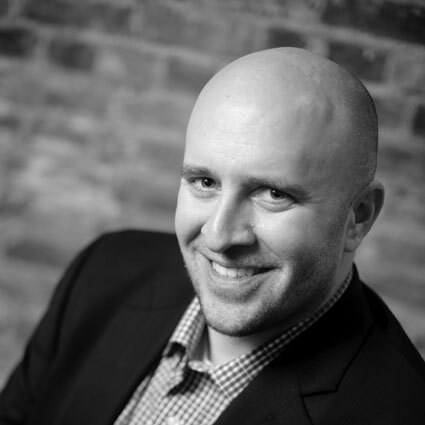 Among the many hats I wore as a co-owner of the business, I worked with clients using analytics and PPC ad campaigns to develop comprehensive e-marketing strategies including content, social media, PPC and email marketing strategies that our clients could use going forward. I also worked closely with clients to understand their technical and business requirements and turning those requirements into website designs and user interfaces for mobile applications.